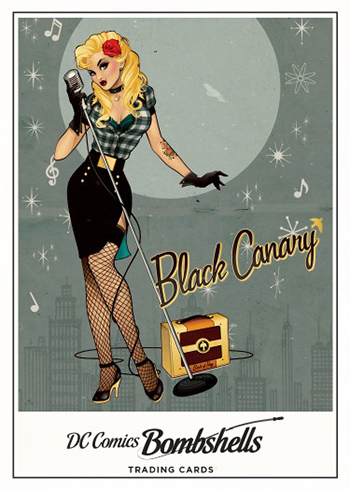 Jump directly to the 2017 Cryptozoic DC Comics Bombshells checklist. 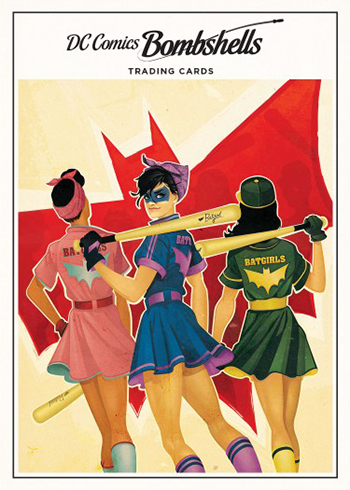 2017 Cryptozoic DC Comics Bombshells trading cards are more than just trading cards. They mix in another element from the manufacturer’s pop culture portfolio — vinyl figures. 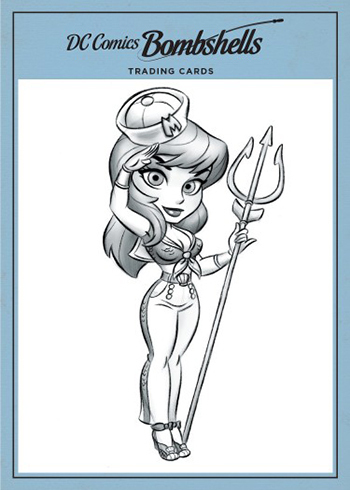 Each box comes with a familiar card configuration plus a Golden Goddess Lil Bombshells figure not available anywhere else. 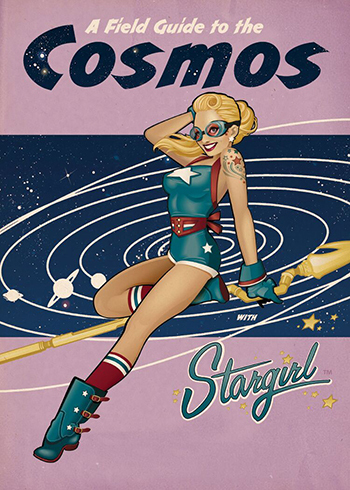 DC’s Bombshells line got its official start as a line of statues. 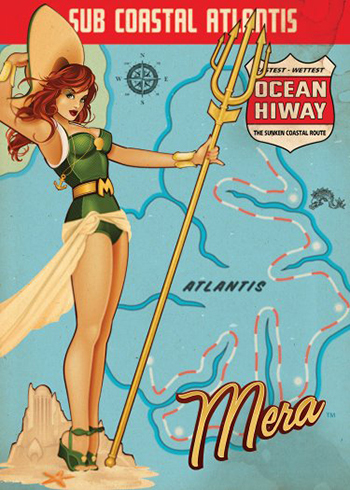 It took popular female heroes and reimagined them in a pin-up style from the 1940s. 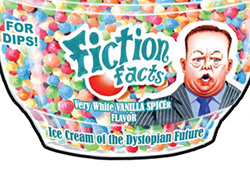 In the ensuing years, the line has spun off into its own comic book and lots of other merchandise. 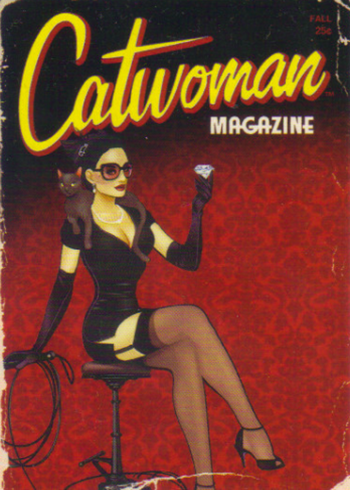 Now, it’s trading cards. 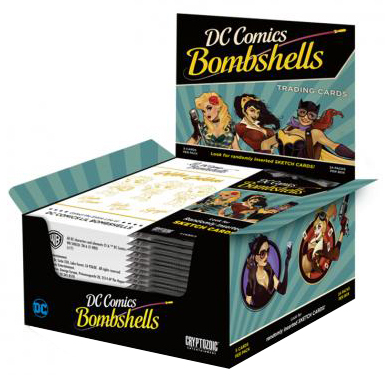 It starts with a 63-card base set that’s art-based and feature cover art from the Bombshells comic as well as two sets of DC Comics variants. It’s actually divided up into three subsets, each of which are numbered differently. Printing Plates and foil cards are among the parallels. 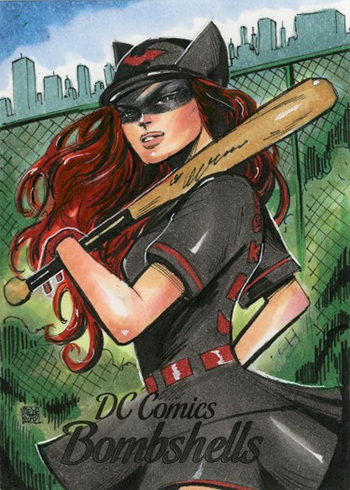 As far as chase cards go, sketch cards are the box hit. 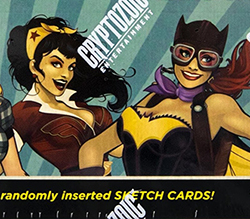 These come with original art done directly on the card. 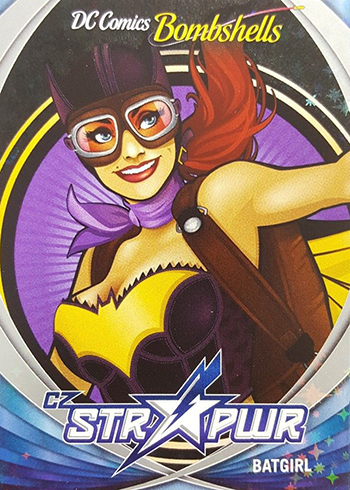 STR PWR inserts are brought over to 2017 Cryptozoic DC Comics Bombshells as well. These mix a prism background. And while odds haven’t been released, they’ve been extremely tough pulls in earlier sets like Gotham Season 2, where they debuted, and The Flash Season 2. 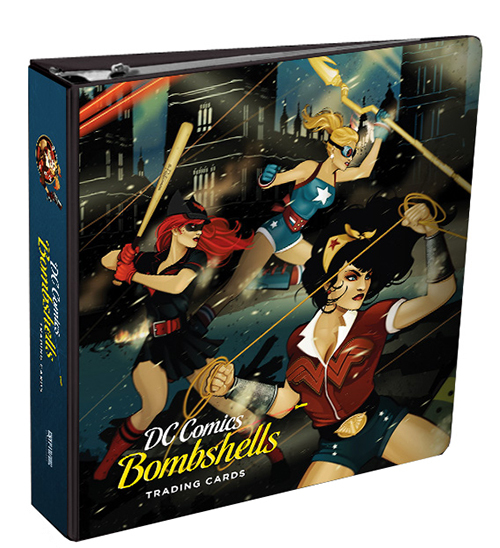 Other inserts include Bombshells – Men (1:8 packs), Characters (1:2) and Lil Bombshells (1:2), which include art used in the creation of Cryptozic’s vinyl figures. 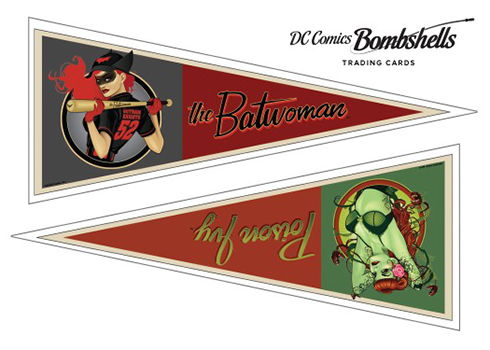 Pennant Stickers (1:24) continue with the pin-up theme. Each card has a pair of smaller stickers. 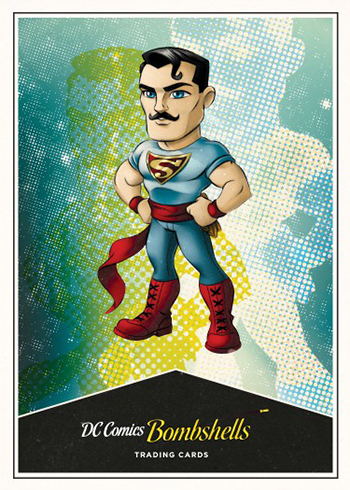 STR PWR makes the leap to comics after appearing in a handful of Cryptozoic’s TV-based sets. These are extremely rare with base versions landing 1:144 packs. For set collectors, there’s also the challenge of having to track down 12 cards. 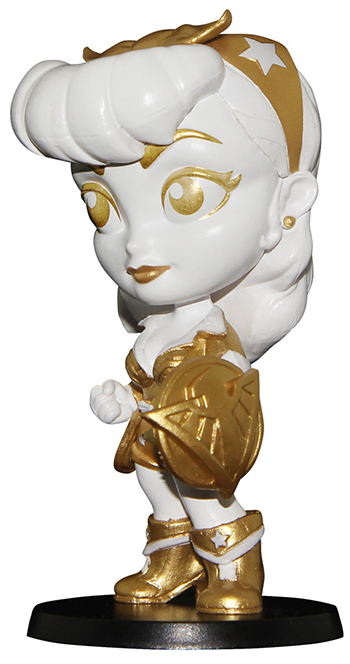 The Golden Goddess variant Lil Bombshells figures are variants from the vinyl mini figure line. 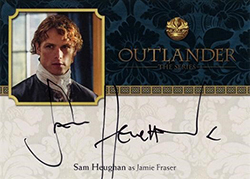 Available separately, a binder comes with an exclusive card not available in packs. Where can I buy this please and how much? Thank you. 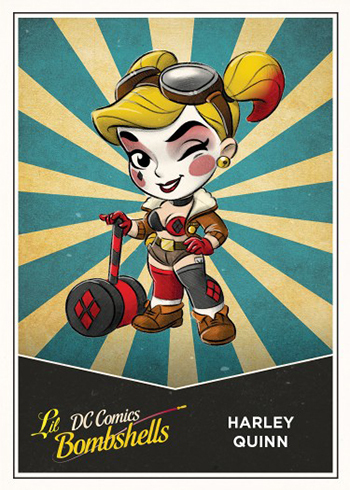 You should be able to order them through a local card or comic shop.